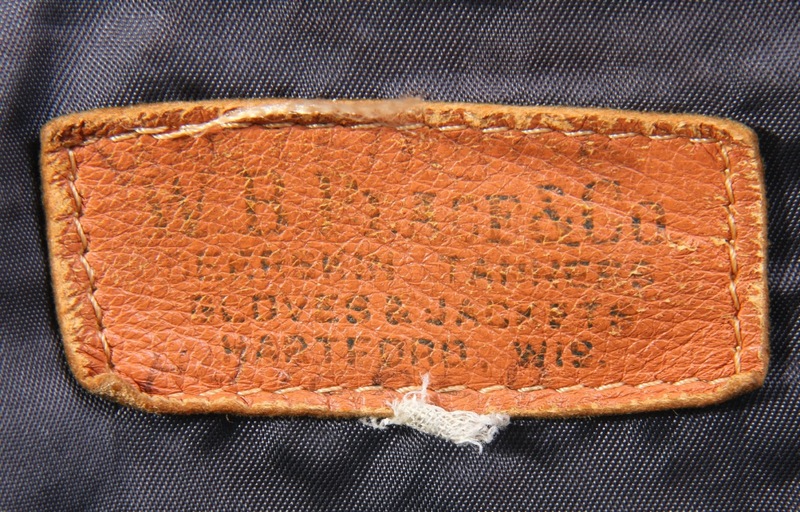 WB Place was a deer leather tannery and jacket and glove maker based out of Hartford, Wisconsin. 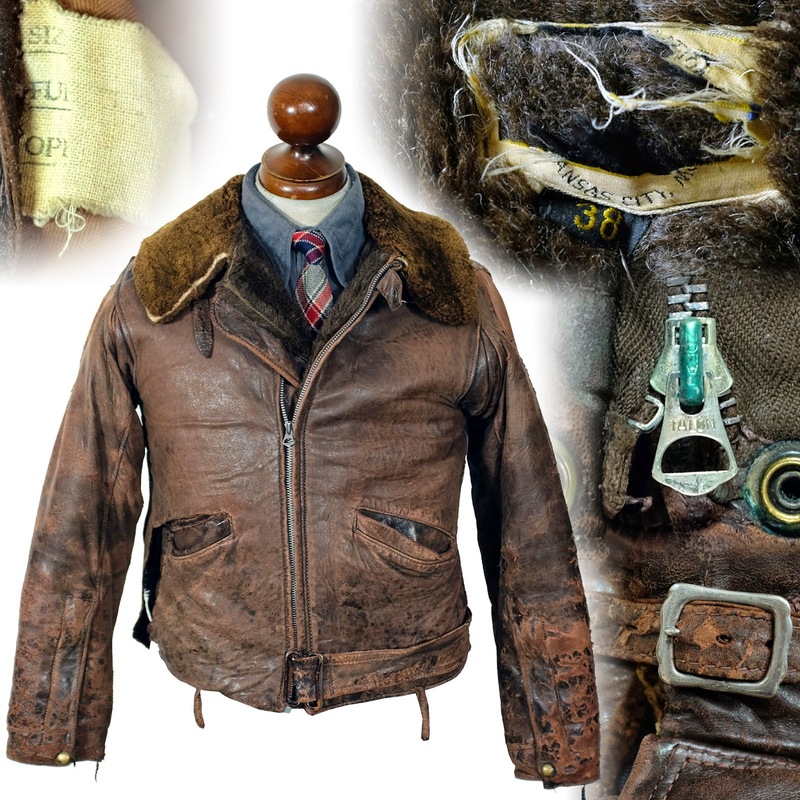 This jacket probably dates from the 1960s, although the styles made by these companies really didn't change much over time. 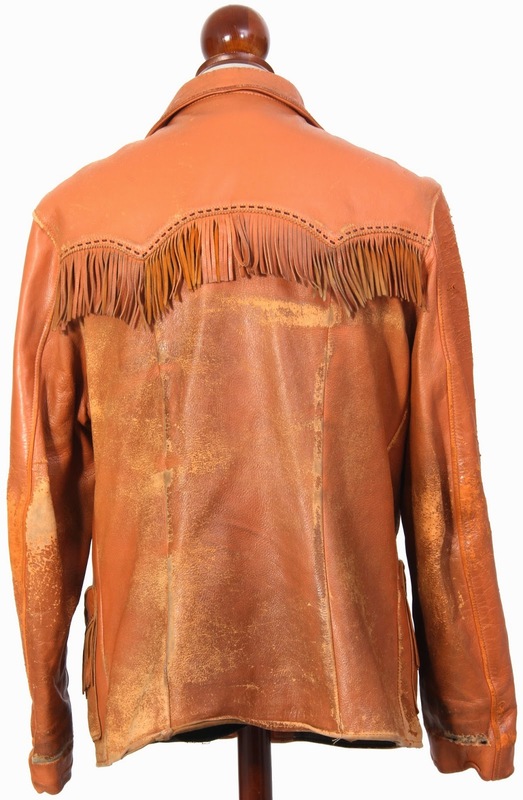 Western fringed yokes front and back with contrast detailing. 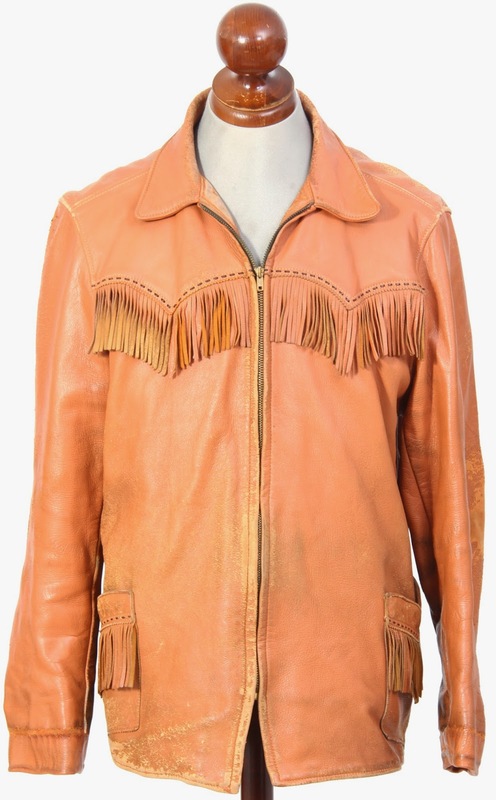 This one shows the flaking that can happen with poorly done deerskin. I'm not wild about the color.